Every time I go back to Sweden I always end up bringing recipes back to London, one way or the other. Either scribbles on notes (from my mothers cookbooks) or from a magazine. Since we fly to and from Copenhagen (the closest larger airport to South of Sweden although it is in Denmark) I bought a few foodie magazines in Danish on our last trip. The languages are related so it is not difficult understand recipes in Danish. 🙂 I found this recipe for a cauliflower terrine in Spis Bedre Magazine and I just had to try it. As usual I made a few changes to the recipe, using less gelatine and adding persillade for more taste. Put the gelatine in a bowl of cold water. Cut the cauliflower into smaller pieces, throw the stem away. Rinse and place in a sauce pan with milk, cream and salt. Bring to the boil and cook until the cauliflower is soft. 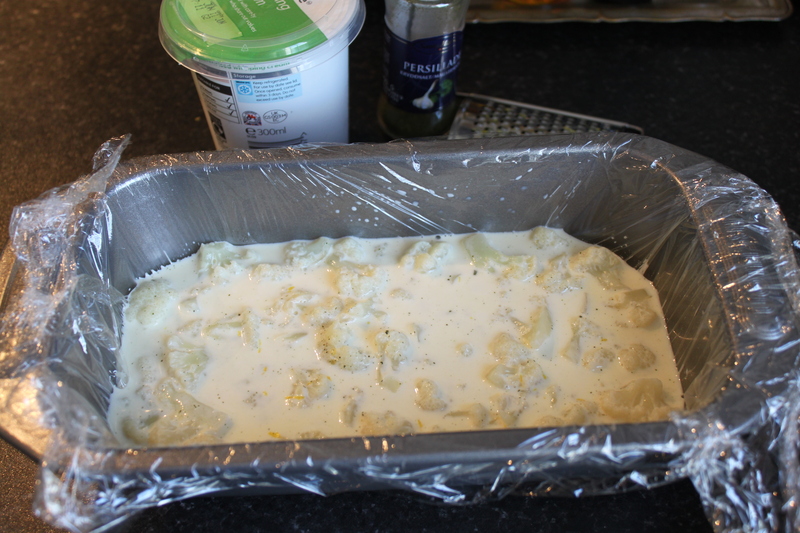 Remove the cauliflower and place in a cling film lined loaf tin. Add lemon zest, persillade and pepper to the cream mixture. Take out the gelatine leaves and add them to, while stirring. Pour the mixture into the loaf tin. Leave to cool completely, cover and place in fridge over night. 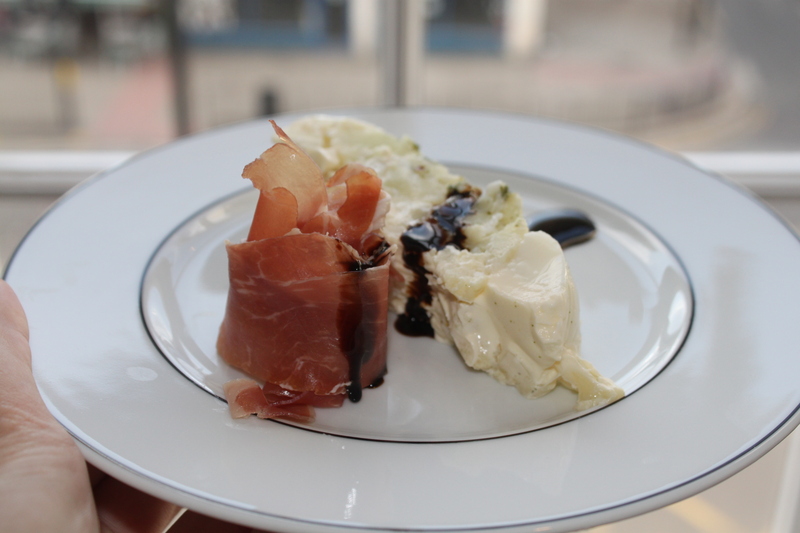 Serve with parma ham and crema di balsamico.